Making a citizens arrest, or detaining another citizen until law enforcement arrives, is a risky proposition. Not only are a lot of people armed with deadly weapons, some of us are incredibly drunk, nodding off, or hopped up on who knows what. 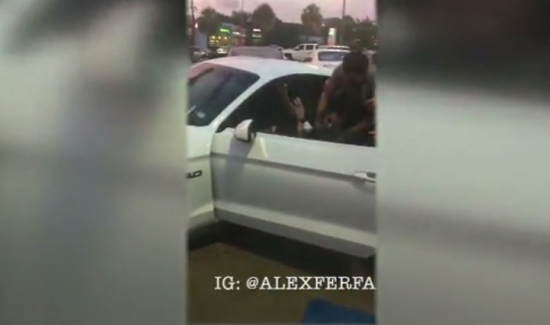 In Houston, a family man was driving along, minding his own business when he noticed an impaired operator who was clearly a credible threat to people’s lives. And the guy, with maybe a couple of exception towards the end of the video, depending on your opinion, did just about everything right. He called it in and maintained a safe distance until an opportunity presented itself to stop the impaired operator. Cops can’t be everywhere at once, and this guy is to be commended for taking action because he thought people could be hurt or killed.